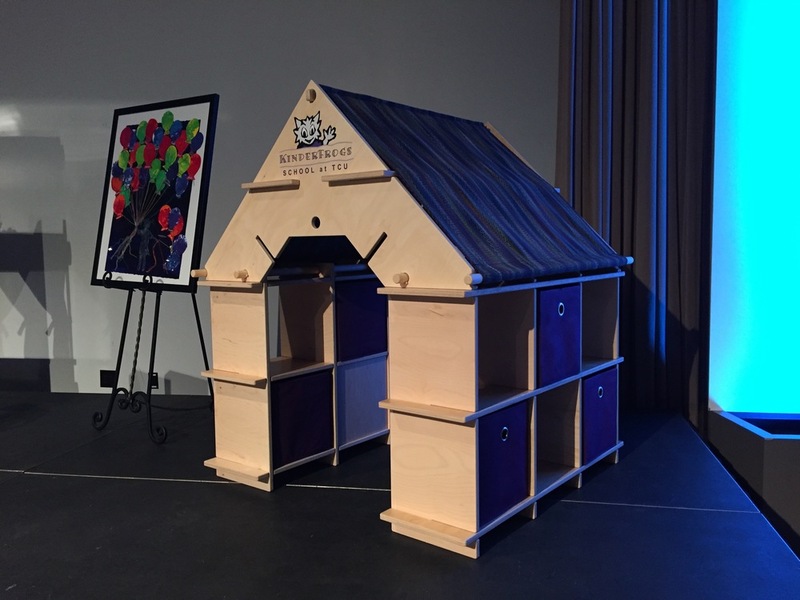 This is a neat little project designed and fabricated for a live auction that benefits KinderFrogs School at TCU. It's a playhouse that has integral storage on the sides and under the "roof", but it can also convert into a small desk and two shelves, plus a tapestry that you can hang on the wall for decoration. And like nearly all Klevr items, it assembles without any tools or fasteners. The sides of the playhouse form cubbies for fabric bins, and there are two long shelves under the fabric roof for more storage. 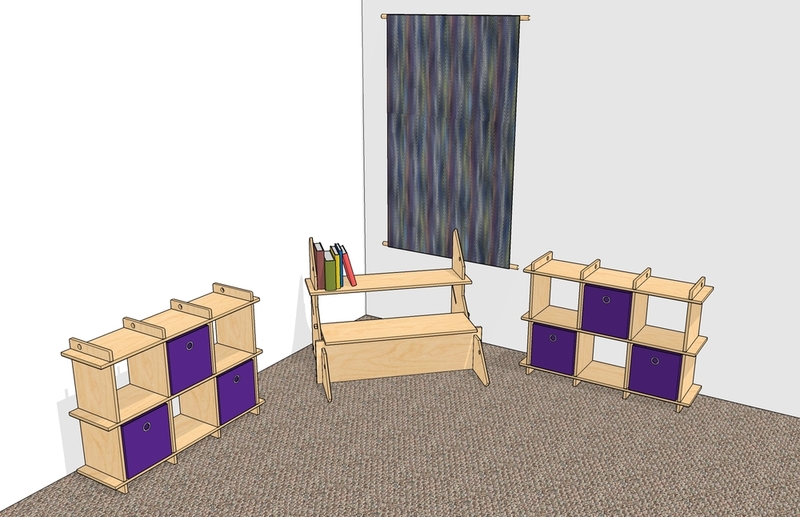 When you are ready for something different, you can slide out the wood dowels that secure the roof to the sides, reconfigure the shelves in the roof panel, then set up the three pieces as a desk and freestanding shelves for a kid's room. 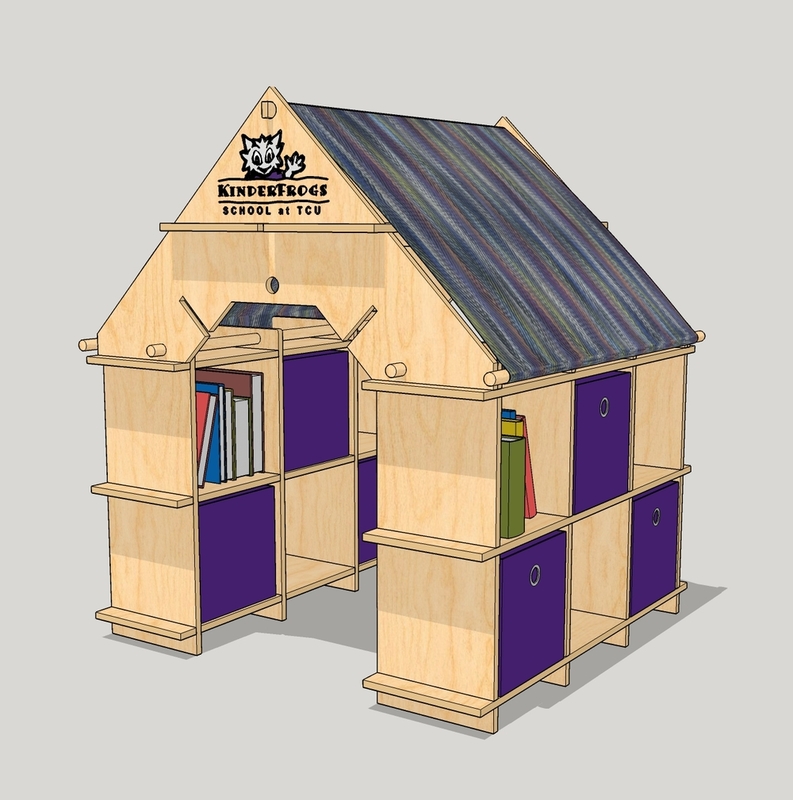 The playhouse is constructed from 5/8" Finnish birch plywood with a cut-and-sew fabric roof.